There are lots of ideas out there to help get children, ages 3-11 involved in family history. Here are a few more ideas that I found. Click here and scroll down to Appendix A and Appendix B. Great Sunday afternoon, Monday evening, or anytime activities to involve children! 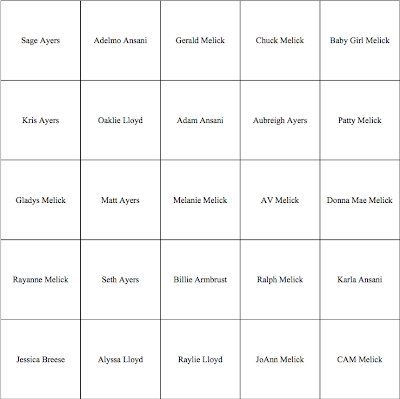 The above bingo card could use pictures for those who can't yet read. 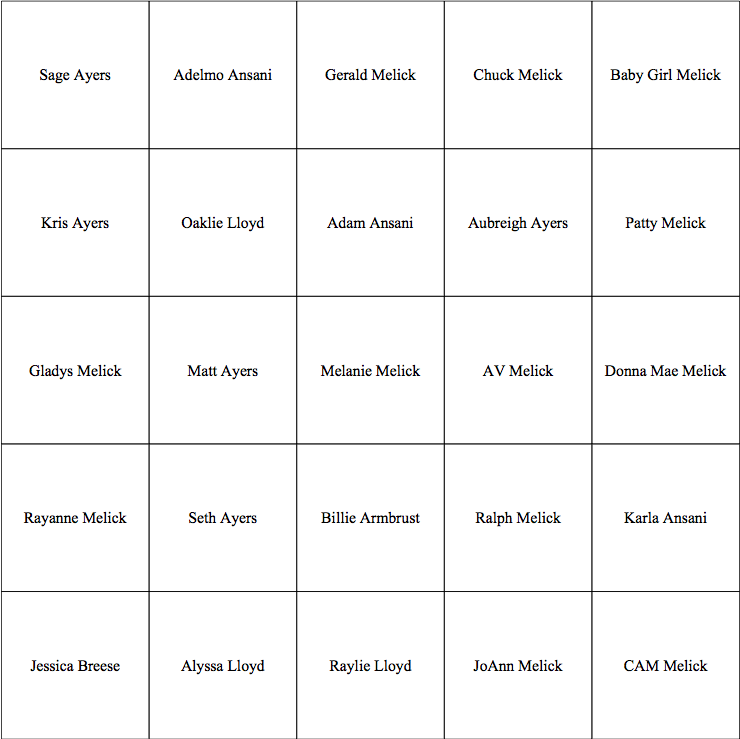 There are free bingo card generators all over the internet. I used this site to generate the above bingo card. There are other game generators on the site too!